What is a Lasting Power of Attorney and why are they important? Lasting powers of attorney are incredibly important and useful documents. They are certainly something that all clients should consider, not just those in later life. A lasting power of attorney is a legal document that enables one person to make decisions on behalf of another. There are two types of LPAs: one that deals with the administration of property and finances and the other which deals with health and care decision-making. Finance LPAs enable a person to act on behalf of another if, for example, they are ill and cannot act for themselves or if, so long as they have capacity, they simply choose to delegate decisions to someone else. Whilst Finance LPAs can be used to delegate decisions where a person has capacity, the health and care LPA can only be used if the person concerned the ‘donor’ has lost capacity to make the heath and care decision in question. An example might be where a person is incapacitated due to a dementia or as a result of a brain injury. The decision as to whom to appoint as your attorney is incredibly important given that, in most cases, your attorneys will act when you are at your most vulnerable. You must trust that your attorneys will act in your best interests. Therefore, they must have integrity, common sense and time to give you and your affairs. Whilst most people appoint family or friends, sometimes it is appropriate to appoint a professional, particularly if you have concerns about individuals or if there are tensions within the family. How much power do the attorneys have? If you do not have capacity, your attorneys must always act in your best interests. However, you will need to decide whether to give your attorneys the widest possible powers or if you would feel more comfortable limiting their scope. Whilst you can include restrictions on your attorneys’ power, which are binding, you may instead wish to give them (non-binding) guidance. If you have managed investments or might have such investments in future, it is important to ensure that your attorneys have sufficient powers to administer these investments. Specific guidance ought to be sought on this point. Once an LPA has been properly executed, it must then be registered with the Office of the Public Guardian. Whilst an unregistered LPA is a valid instrument, it cannot be used until registration has occurred. That a power is registered does not give your attorneys authority simply to use it. The power can only be used with the donor’s permission or if they lack the capacity to make the decision in question. Although an LPA con only be used once it has been registered, it doesn’t have to be registered straight away. That said, the registration process does take around 6 weeks. By not registering you will save the registration fee, which is currently £82. However, if you have a health crisis, a delay of 6 weeks before the LPA is useable is unlikely to be convenient. The best advice is to register immediately so that the LPA is available as soon as possible. 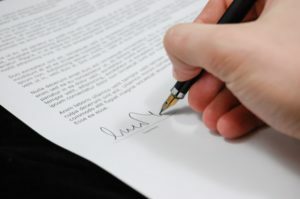 In addition to a witness to your signature, someone will need to sign a certificate in the LPA declaring that they they are satisfied that you understand the LPAs nature and implications, that you had mental capacity when you signed it and that you are not acting under duress. The certificate provider must have known you for two years or be professionally qualified. LPAs are very powerful documents and it would therefore make sense to ensure that you get the best available advice. A properly qualified, experienced and insured solicitor can advise on how to structure the power, best suited to your circumstances. Many people still have the predecessor to the LPA, an ‘enduring power of attorney’. This is a power that only deals with finances, but, so long as it was validly made before 1st October 2007, it can still be used. It does though have limitations compared with an LPA, so it may be worth getting advice on whether it is still the best type of document for you. Business owners should all have an LPA in place, even if it relates only to their business interests. A period of incapacity could be disastrous to a business that relies on its owner for direction and processing. Co-owners and shareholders may also be concerned if a ‘general’ LPA appointing family members or friends means that ‘outsiders’ can start having a say on the affairs of the business, notwithstanding the requirement that they act in the donor’s best interests. A professional advisor can assist in ensuring that your business if properly protected, not just with LPAs, but also with other solutions, such as shareholders’ agreements and key-man policies.